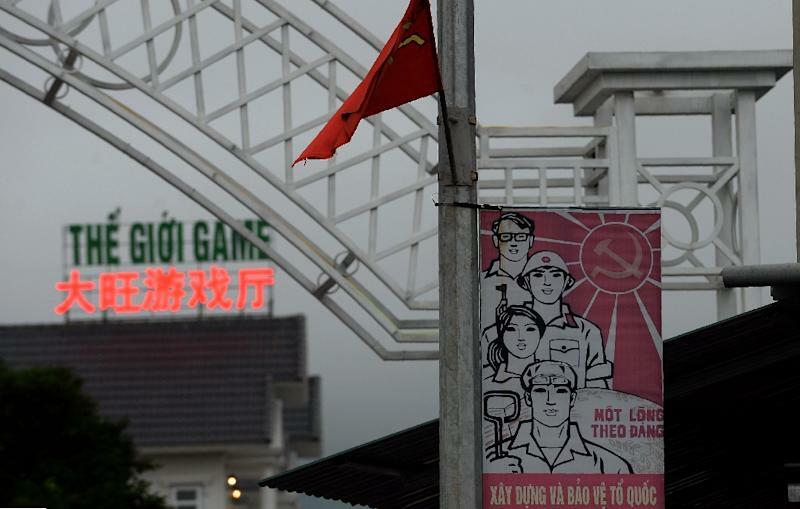 Two Vietnamese cousins have been convicted for spreading anti-state "propaganda", state media reported, a ruling condemned by rights groups as the authoritarian country's latest crackdown on dissent. Nguyen Huu Quoc Duy, 31 and his cousin Nguyen Huu Thien An, 21, were convicted of "propaganda against the Socialist Republic of Vietnam," at a closed one-day trial, state-run Vietnam News Agency (VNA) said late Tuesday. Duy was found guilty of sharing "dozens of articles with wrongful viewpoints... distorting the party and state policy" on his Facebook page, VNA reported, citing the verdict from the court in Vietnam's southern Khanh Hoa province. He was also accused of "requesting the elimination of the Communist Party leadership and state management", it added. An was convicted for "regularly logging onto reactionary web pages with information defaming the Socialist Republic of Vietnam", the report said. Duy was handed a three-year sentence, while An was given two years in jail. Their charges fall under the controversial Article 88 of Vietnam's criminal code, which rights groups say is vaguely worded and routinely used to silence critics of the regime. Human Rights Watch slammed the verdict and said the law allowed the government to "criminalise just about any comment that it wants to". "It's hard to find a violation of freedom of expression more blatant than this one, in which Vietnam authorities are sending these two men to prison just because they posted critical comments on Facebook," HRW's Asia deputy director Phil Robertson said in a statement. The United Nations' human rights body in Asia also expressed concern over the verdict and the use of Article 88 to "restrict peaceful exercise of fundamental rights." Communist Vietnam is regularly criticised for its intolerance of dissent and prosecution of regime critics. Lawyers, bloggers and activists are routinely subject to arbitrary arrests and detention in the country where private media banned and all newspapers and television channels are state-run.